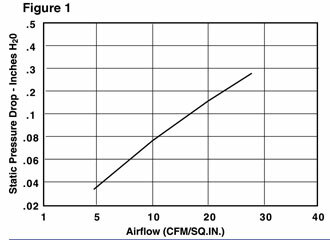 MAJR’s line of custom air filters is designed to aid in applications where the need for EMI/RFI shielding is marginal and the filtering of dust particulate and foreign object debris is essential. Our high-efficiency shielded air filters are supplied ready to install with an EMI/RFI gasket as an integral part of the filter assembly. The rigidity of the mounting frame makes installation and removal for cleaning an easy task. The filter media used in the panels can be supplied as a dry or wet filter. Keep in mind that impingement of fine dust particles on filters with a glutinous oil coating is greatly enhanced. Standard Configurations –MAJR offers a wide variety of standard sizes, as seen below, which can reduce lead time and setup charges for our customers. Ease of Installation – Our Shielded air filters are supplied with EMI/RFI gasket and mounting holes or captive fasteners — ready for installation into any electronic cabinet. Built to Your Specifications – Many applications require a unique shape or mounting configuration. MAJR’s engineering group can assist with custom shielded air filter designs to accommodate any size requirement. The low resistance to air flow of these panels will minimize pressure drop within the cabinet allowing air to move freely through the intake while performing the desired dust filtration function. The curves in Figure 1 show the resistance per square inch for standard filter media.